Today the My Favorite Things team is back sharing samples using this month’s new à la modes, Polished to Perfection and 80’s Girl. Along the left edge I used new Retro Squares Die-namics. I used random scraps of cardstock to fill each square. Stamps: MFT “80’s Girl” (à la modes) Ink: Memento Tuxedo Black Paper: Prism Birchtone Dark, X Press It Blending Card, My Mind’s Eye Six by Six “Gnome Sweet Gnome” (6×6) Accessories: Copic markers (E00, E11,BV000, E13, E15, E18, E07, E08, E87, YG91, YG93, YG95, B93, B95, W00, W1, W3, W5, BG70), clear Spica glitter pen, Prismacolor pencils, Retro Squares Die-namics, brads. Finished size 4 1/4″ x 5 1/2″. yep, i remember the silver thread! my navy blue leg warmers had it! LOL! this just totally rocks (and i got the same dp delivered today!)!!! I love these papers and colors. Awesome image. The glitter in the leg warmers are so real! I do remember.. haha.. maybe I shouldn’t admit it. We rocked the silver thread, my dear. 🙂 This is so awesome! She is brilliant! Love your colouring! Love the squares as well, great layout, fab card. Oh my word. This rocks! Love it Michele! Very, very nice coloring!!! I am one who remembers the thin silver interwoven into knits and I am also one who remembers that song Don’t Worry, Be Happy (my oldest daughter’s favorite @ the time); the tune immediately came into my head. Very cute card!!! LOVE it! Love your shading and how you used the retro squares. This image is fabulous and I absolutely love your card Michele!! Amazing as always!! Loving the colors in this card, so cute! this is soooo perfect!…love the retro squares with this image! fantastic coloring too! Great card! I love the retro squares with this card! Adorable, love the great card design and dp you used. Such a fabulous card. Love your coloring. 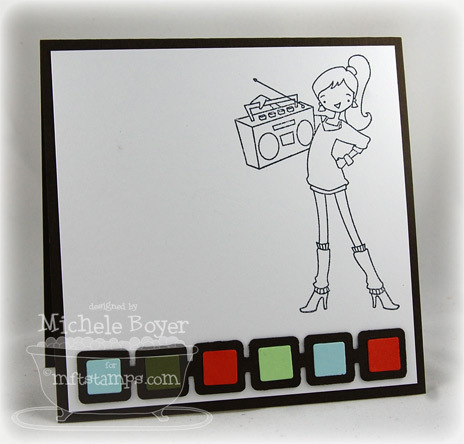 I love your coloring — and your new paper pad with the retro square die-namic – with the colors! 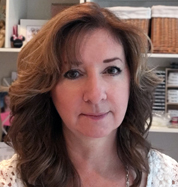 Michele,what an amazing card! 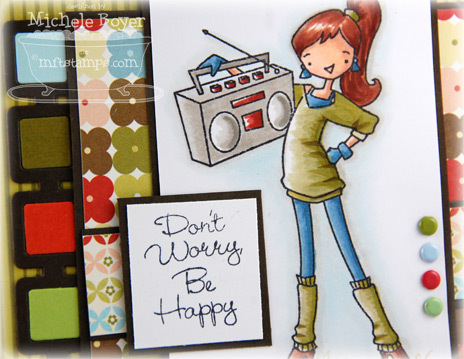 Love the way you coloured this image and I love the paper choices you made – just gorgeous!!! Such a well designed card…love those retro squares. Gorgeous card! Love your coloring and the retro squares are great. WOW!! I adore your coloring you did on the girl!!! Gorgeous colors, DP , and layout!! Awesome card and coloring. Love these new images. Oh my! Look at your stunning colors!!! Fabulous image and DP!!! 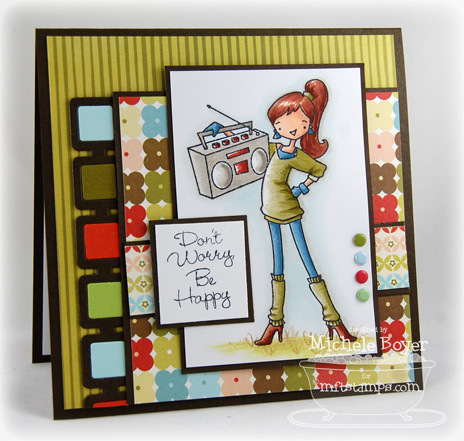 Great card – I really love those squares, too! This card is really cute. I love all the color and that retro squares die. I love the retro feel of this honey! Super cool card! Love the colors and the layout! SHUT the front door! This is AWESOME! LOVE the colors and the Retro Squares!! So feaking cute! I love all the colours you used in the middle of the retro squares! !